Captain Jack Billy Joel Your browser does not support the audio tag. I'll Cry Instead Billy Joel Your browser does not support the audio tag. 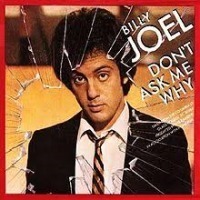 It's Still Rock 'N' Roll To Me Billy Joel Your browser does not support the audio tag. Leningrad Billy Joel Your browser does not support the audio tag. Lullabye (Goodnight, My Angel) Billy Joel Your browser does not support the audio tag. Movin' Out Billy Joel Your browser does not support the audio tag. My Life Billy Joel Your browser does not support the audio tag. New York State Of Mind Billy Joel Your browser does not support the audio tag. Only the good die young Billy Joel Your browser does not support the audio tag. Piano Man Billy Joel Your browser does not support the audio tag.